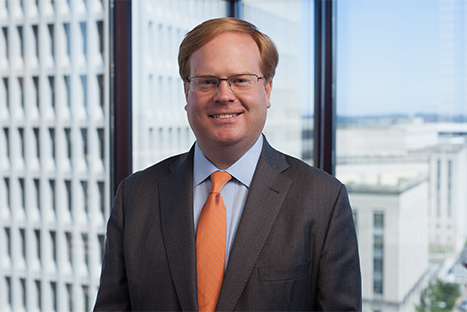 Dave Garrison handles complex litigation matters in federal and state court, as well as arbitration. A significant part of Dave’s practice involves the representation of employees, including workers involved in wage and overtime pay disputes, whistleblowers who have uncovered fraud, executives in severance negotiations, and employees who have suffered discrimination. He also maintains an active labor law practice, serving as counsel to several labor unions. As lead counsel in wage and hour collective and class actions, Dave has negotiated dozens of settlements resulting in the payment of millions of dollars in wages to thousands of workers and leading to systematic policy changes. Dave has tried a number of complex civil cases to jury verdicts. In 2015, he served as lead trial counsel in a Rule 23 class action in federal court against Metro Nashville Government on behalf of over 900 correctional officers, obtaining a jury verdict in favor of the class that lead to a $2.1 million settlement, a record amount for the government to pay. He also recently obtained a $657,641 jury verdict on a promissory estoppel claim in Tennessee Chancery Court brought on behalf of his client who was denied retirement benefits by Ford Motor company. In addition to his law practice, Dave Garrison is active in Democratic politics. He served on President Obama’s 2012 National Finance Committee and served as Treasurer of the Tennessee Democratic Party from 2009 through 2012. In 2000, he was Assistant Policy Coordinator for the Gore-Lieberman presidential campaign, where he worked with Vice President Gore’s senior policy advisors in the development and communication of the campaign’s policy agenda.